All free, all the time. We have created this site and provided all of our content freely, because knowledge should be free, and educational technology should lead the way! 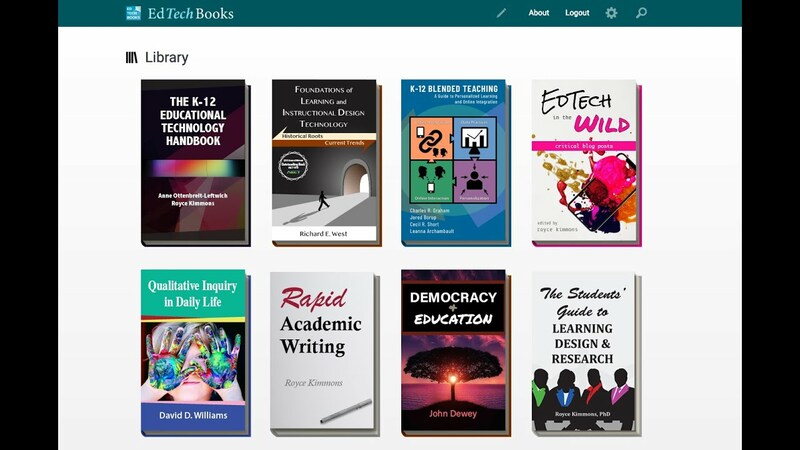 EdTech Books is an initiative led by faculty of the Instructional Psychology & Technology Department at Brigham Young University [http://education.byu.edu/ipt]. Our goal is nothing less than providing the best open textbook publishing platform and experience on the web! Freedom - All of our content is freely available, and most of it is free to remix, reuse, and redistribute without seeking permission. Accessibility - We design all of our content with a mobile-first mindset that focuses on making content fast and accessible to all. Usability - All of our content undergoes ongoing usability testing to improve our users' experiences. Quality - Our content is created by leaders in the field, and much of it undergoes similar peer review processes used by journals or editorial review processes used by book publishers. We only include content on this site that is gratis (free as in no cost), but not all content may provide freedoms to users for remixing, etc. (free as in freedom). Each book included in this site is released under its own license, and some include chapters or other content that may be released under yet another license. If you have questions about reuse, remixing, etc., please consult the copyright notice on the individual work. Books that are hosted on other sites (e.g., PressBooks) that we link to may have their own licensing requirements. Can Your Textbook Do This? Some educators believe that the textbook, like print media, is effectively dead or that it perpetuates poor pedagogical practices. We sympathize with these attitudes but also recognize a few realities. First, most courses in the U.S. still rely upon a textbook (69% according to Seaman & Seaman, 2018). Second, much of the lack of adoption of open educational resources (OER) can be attributed to their lack of perceived quality and difficulty in finding them. And third, packaging OER into a usable, flexible textbook format makes these resources more appealing and accessible to diverse educators who exhibit a wide array of technical skills and motivations to use OER. In short, open textbooks provide a simple, first step into the world of OER, and though some may criticize open textbooks as not being radical enough, it is precisely their combination of the old and familiar with the new and radical that makes them a trialable, compatible, and relatively advantageous innovativion (cf., Rogers, Diffusion of Innovations, 2003) that practically any educator can readily adopt. For more information about features, please visit the complete feature list [https://edtechbooks.org/-YUN]. By hosting or linking to content on this site, we do not claim ownership of the content, and we or our partners should not be viewed as supporting the veracity or opinions of content authors. All specific content items merely reflect the opinions of their authors. Want to get your book published and reach a wider audience? Want to do research on user experiences with your book? Contact us [mailto:admin@edtechbooks.org], and we'd love to chat with you about hosting your book for free. 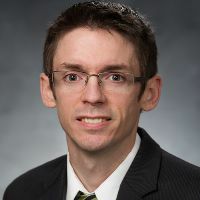 This site is developed and maintained by Dr. Royce Kimmons [http://roycekimmons.com] at Brigham Young University [https://education.byu.edu/ipt]. If you have questions or requests, please direct them to the website administrator at admin@edtechbooks.org [mailto:admin@edtechbooks.org]. Many thanks to Sam Jackson for his inspiration for the site design.